This is a common phrase from interviewers during interviews and the expectation is that the candidates will have prepared several questions for them. Asking questions in an interview is an indication that you did your research and are well prepared. Most candidates have great answers to the questions posed by interviewers. Some of them have great CV’s and a track record that cannot be ignored. However, they go under the seat when their turn to ask questions comes at the end of the interview. From my interactions with candidates, many of them confuse this with an opportunity to sell themselves to the hiring team. Others do not ask questions because they do not know whether their questions are appropriate. This boils down to anxiety, lack of confidence and poor preparation. Fortunately, we have done interviews for so long that we have developed a cheat sheet for you( do not tell anyone about it). 1. What would I be expected to do on a typical day/week/month if I was hired for this position? It may seem like an obvious question but it is absolutely important to find out what your interviewer expects from you. Having an employer lay out what you are expected to do ensures that there are no nasty surprises once you get hired. A candidate who successfully applied for a position as a personal assistant quit her job after a week after being told by her boss that she was supposed to pick up his laundry and supervise his children as they did their homework in the office. Upon further inquiry, she was told that the previous personal assistant used to perform those duties in addition to her daily duties. Having expectations laid out for you during the interview process helps you decide whether you would like to take up the job or not. 2. Would I be undergoing any form of training after getting the job? An ambitious candidate not only applies for jobs because he or she meets the criteria but also because he or she wants to grow career wise. If you lack some of the skills that one is required to have in order to perform well, this question helps you determine whether there is an opportunity to acquire those skills before embarking on the job. 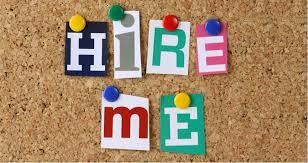 It also helps you gauge whether your potential employer has opportunities for you to develop professionally. Some companies have an initial training period of up to three months. If you have another job and you require to serve a notice of a similar amount of time, it may be wise to state so during the interview as you pose this question. 3. What are the performance expectations for this position? It may seem obvious that anyone who gets the position has to perform but the performance expectations may not be that obvious. Posing this question helps you set your mind and attitude towards the attainment of targets as per your position. If the performance expectations are not commiserate to the resources provided by the company, then this question would help you determine whether you still want to take up the job. Moreover, this question will help determine what sort of salary you should accept should they extend an offer if successful through the selection stages. 4. What are the next steps after the interview process? No one wants to wait to hear from an employer forever. This questions helps you to have realistic timelines in mind as you await to hear from your employer. This question helps you know what to expect and when to expect it. It is also a way of getting some reassurance from your employer after the interview. You can also check with them what sort of medium will they use to provide feedback. 5. Will I be working with a team? If I am, could you tell me a little about the team? Everyone indicates that he or she is a team player in their CV’s. The true test of this attribute is when you are actually introduced to the team. Candidates have been known to quit their jobs after a short time because of teams that were impossible to work with. Find out who you will be reporting to. Find out whether there are any challenges that the team has been dealing with. Find out how the organization has been building the capacity of the team and promoting team work within the organization. Find out about the work culture among the teams in the organizations. 6. What sort of advancements can I work towards while working in this department? This question will give you a glimpse into opportunities for mobility within the company. The last thing you want as a candidate is a dead end job that leads you nowhere. Your ultimate goal as a candidate should be to grow in your career path. Advancement may in form of training opportunities, promotion and mentorship opportunities. Do you want to change careers? Crystal Recruitment, a leading Recruitment Agency in Kenya works with Employers and we may have your next career on our Job Board. Be sure to check it out. One of the hardest hurdles of a Recruiter’s life is when a candidate has accepted a new job offer but then accepts a counter offer from their current employer. And that takes you back to the drawing board if you did not have a back up plan. Anyway, I am digressing. So back to my main issue today, what do you do when you decide it is time to resign yet it becomes an insurmountable task and you are filled with doubt, or after you have handed in the resignation you contemplate on the counter offer given? I do understand from personal experience that handing in a resignation, not to mention drafting one has never been an easy task (unless of course the Employer is terrible and you cannot wait to get them off your hair). The focus of this article is however resigning from a great Employer; a job that you actually enjoy but then time has come to move on to something else, or just a break, whatever the reason is, you simply need to leave your Employer. You think long and hard of the aftermath. Others feel it is betrayal of sorts especially if the company was their first employer. The first question to ask, “Will the company be just fine if something were to happen to you”? and the answer, a resounding YES. Having that simple knowledge gives you some morale to pick the pen and paper or just type your letter with intent to give notice. Knowing that there are actually people out there who can do your job way much better and probably cheaply should be more than enough to accept that your time is up and something greater awaits. A major impediment to resigning is fear of the unknown for the new opportunity is an unfamiliar territory, new process and policies, new products, new colleagues, probably even in a new country/location. We as human beings are conditioned to resist change, we prefer the comfort zone, the predictable. And therefore, some rationalize, “why take on the new job with all the uncertainty, read ‘excitement’ yet can stay in the old with a better salary than before”? I will be quick to point out that it is true some use the new job offer to negotiate for a better salary. (story for another day). If you are in a such a place, ask yourself why you accepted the new job offer in the first place, or the journey you had to take to decide it is time to move on. Write down a comparative list on what you are gaining and losing by pursuing the new opportunity and what that means if you were to stay. At the end of the day, resigning is an individual decision regardless of your ‘love’ towards your employer as reality has it; if the company shuts down , you equally lose that job, or if it downsizes and you are affected, you still lose job. So in essence, work with facts, have the future and the bigger picture in mind and for a moment, put your emotions aside. That should help you resign and if you are still not sure how to go about it, feel free to contact us or through our social media page for further advice and support for Crystal Recruit is Kenya’s best Staffing and Recruiting Services.